Like the facets of an antique ring, this round sunburst mirror glimmers with a new hue with each turn of the head and shift in light. 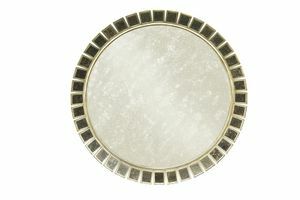 The heavily antiqued mirrors and antique silver leaf frame surrounding the antiqued center mirror form a shimmering surface that creates a focal point for any space. 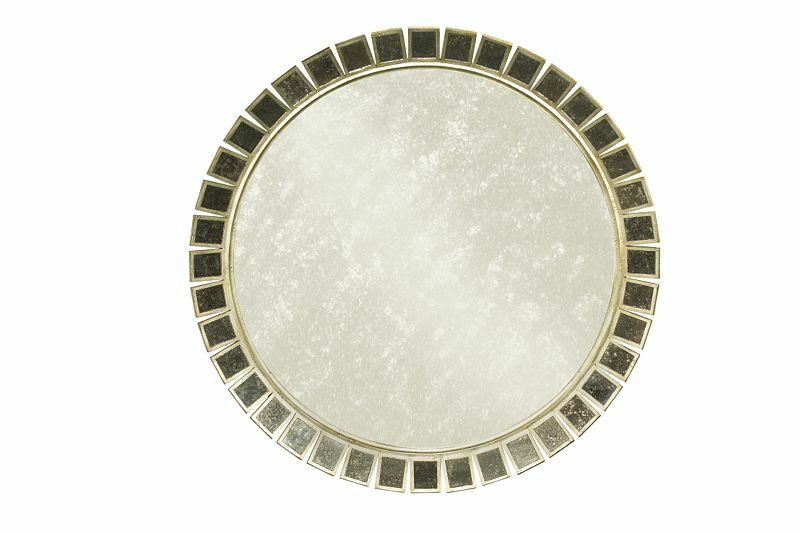 The antiquing is crafted to look like vintage mirrors whose mirror has the look of metallic water spots under the glass. Dimensions: Overall: 48"h x 48"w x 2.75"d.